My Current Desktop Wallpaper Is My Inspiration Board: Share Yours! I have had this as my desktop wallpaper for the last few days. Its a collage of images that I have favorited over the last week as they appear in my pinterest feed. 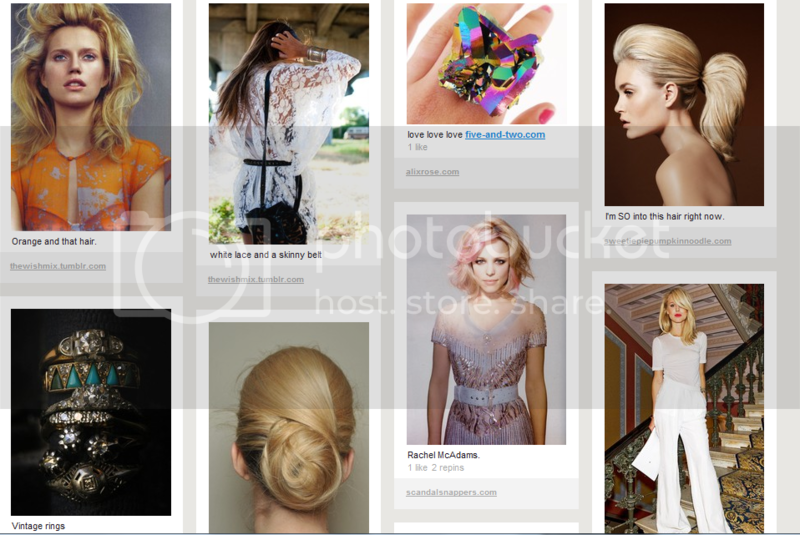 Its fun to see what trends, images and colors captivated me. What's your desktop wall paper? Share even if it's not fashion related. Mine is a blank gray screen right at the moment because something happened where mine got deleted yesterday. But it was a background of me and my friends at applebees hahaha.